In my household we’ve been talking about Maleficent forever. Honestly, May 30 can’t come soon enough! Not only is our family friend Robert Stromberg making his directorial debut but we’re huge fans of the fairytale, Angelina Jolie and Elle Fanning! Call us odd, but my family likes our fairytales served with a darker edge and by all accounts this film is going to deliver. And it’s that darker edge that led Vivienne Jolie-Pitt to be cast in the film. Yes, we can officially add Hollywood Mom to Jolie’s never-ending list of achievements. Her children Pax and Zahara also appear in the film, in cameos in the christening/cursing scene. Click picture below for trailer featurette. Maleficent fans can enter for a chance to win a trip to the world premiere of the film in the Maleficent “Embrace Your Inner Evil” Sweepstakes. 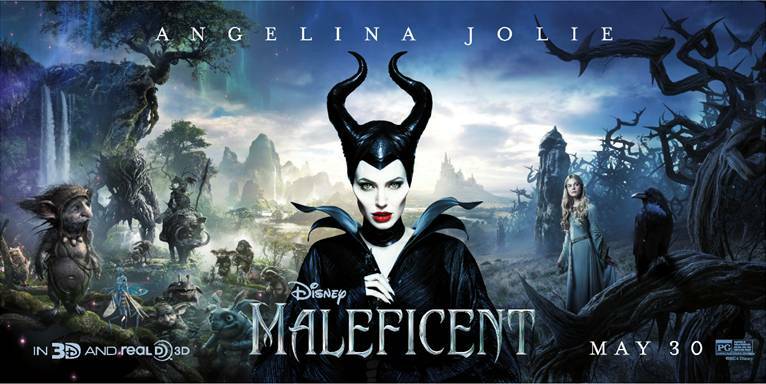 Fans can enter by recreating Maleficent’s laugh and posting the video to Instagram using #MaleficentLaughSweeps. Official Rules: http://di.sn/MaleficentLaugh. Stay on top of all the latest by liking the Facebook page!